I bet you have seen many households that have strange mirror panels installed on their rooftops. These homes are not industrial, technical or any other manufacturing facilities. These are normal homes used for living; however, they have a special feature. These homes are environmentally friendly and sustainability cautious. These huge panels are used in order to produce electricity directly from the sunlight and look very green and attractive (even bought online gift cards sometimes hold picture of solar panel as a sign of high technology and prestige). Having solar panels at your home you will no longer rely on the city’s power grid, with which you constantly experience problems and different power shut-downs. Solar panels are special devices, which convert light into electricity. It is made possible through the Photovoltaic effect – the process of extracting electricity from light. Therefore through the photovoltaic process solar energy is converted directly into electricity. 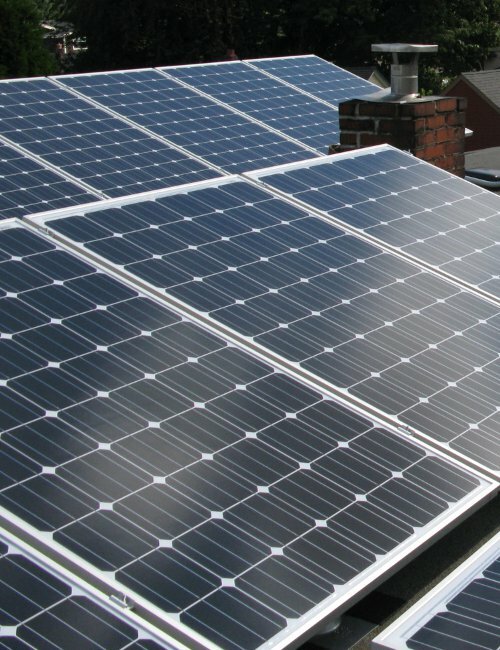 Solar panel homes have special solar systems installed which are comprised from a collection of solar cells (types of solar cells may be quite different). Through their joint work they supply electricity for different household uses. A single solar cell installed on the rooftop will not have the capacity for generating a sufficient amount of electricity therefore such homes will usually have multiple solar cells installed. These solar panels, solar systems are connected together in order to increase the working capacity, and therefore the amount of electricity produced. How many cells your home will need depends on the amount of electricity that you consume every day. Also, the position and location of your house will dictate how efficient the solar panels will be. The more light during the day is available to your solar panels, the greater the amount of electricity that they will be able supply will be. Solar house systems are most efficient when you know how much energy you typically consume in a month period. In such a way you can calculate the expected amount of energy that you will have to get from the sun. Determining on how much energy you will need you can also view the state by state averages, which are usually published by Energy Information Administration or by other state agencies. On average the consumer in US will typically use around 730 kWh of electricity in a month, though in other places this number can be as high as 1300 kWh of energy per month. For majority of households, the initial costs of photovoltaic solar system will be a major negative factor. However, with the use of solar power energy for home you will save on yearly utility bills and also get governmental incentives. Therefore the initial costs are great investments for future. The price will majorly depend on the system which will be installed. If a single 2 square meters of solar panel can generate around 21.294 kWh in a month period and your electricity bill is on average 20 cents per kWh, you will be able to save $51.2 in year. Having ten solar panels will make it possible to safe 512$ in a year. Get yourself a solar panel home right now, in order to use environmentally friendly and cost efficient energy in your everyday life.